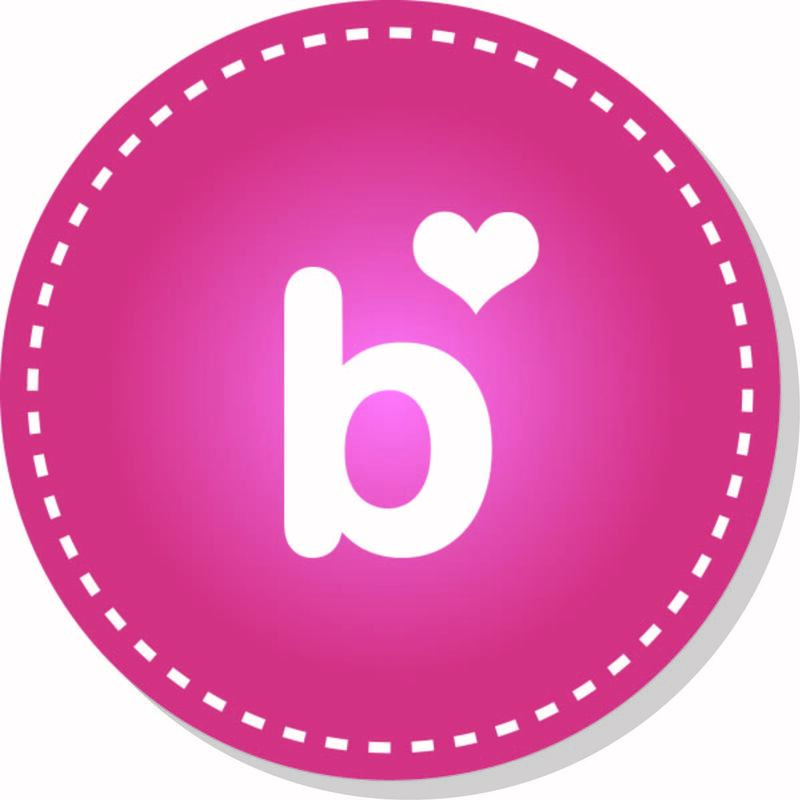 Hello and welcome to the second installment of the 'Behind The Nail Art' series! 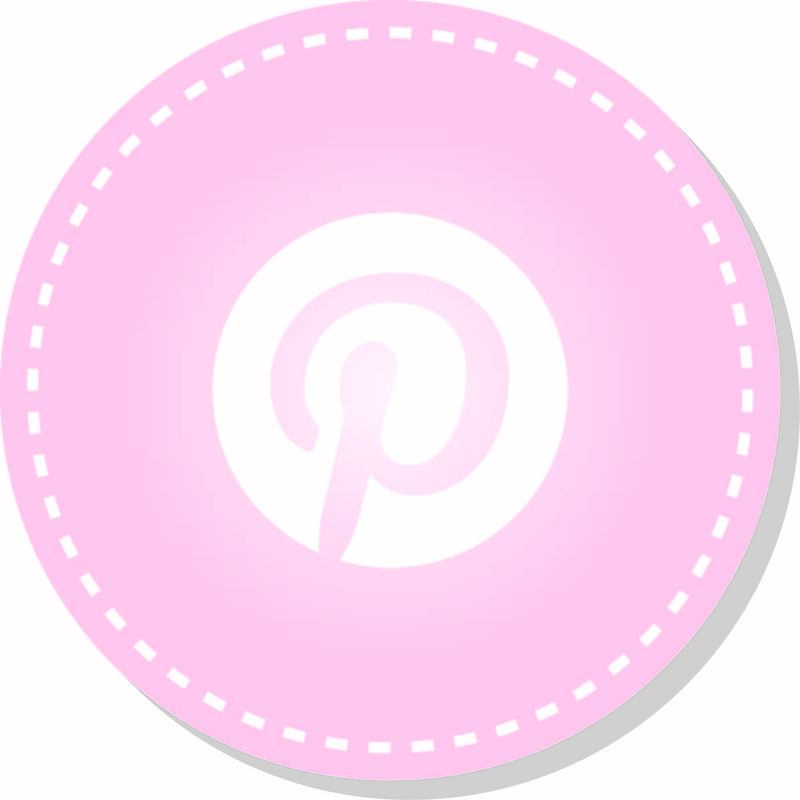 Check out the first installment 'Behind The Nail Art - Brushes' if you missed it! I know you're all dying to know what my secrets are, what products and tools I use and how to make the tiny nail art. So that's why I'm going to share everything I know! 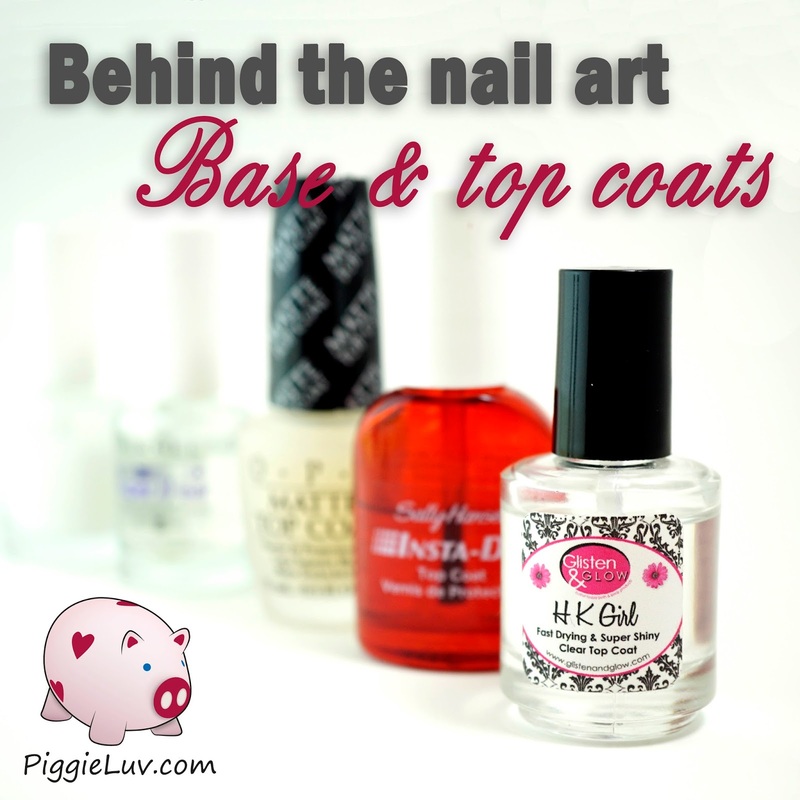 Today we'll be looking at the base & top coats I use. I don't have the budget to shop around and try different things, so I have to do my research and make sure that what I buy is the right product for me (and yes, all of these products were bought by me). These are my base & top coats! I always, always start out with a coat of my home made peel off base coat. I say home made, but really there isn't much to it. I just take an empty bottle of polish, clean it out, put some PVA (Elmer's) glue in it and add some drops of water to make it easier to work with. If you need more info (and pictures), there's a tutorial I did a while back on how to make your own peel off base coat. A peel off base coat is a great solution for a couple of things. For one, no more pesky glitter removal! You just peel off the polish and you're done! Also, I get to keep my artwork, because I just peel it off. Downsides: it doesn't stay on long (though a lot longer if you wrap your tips) and it takes a few minutes to dry. 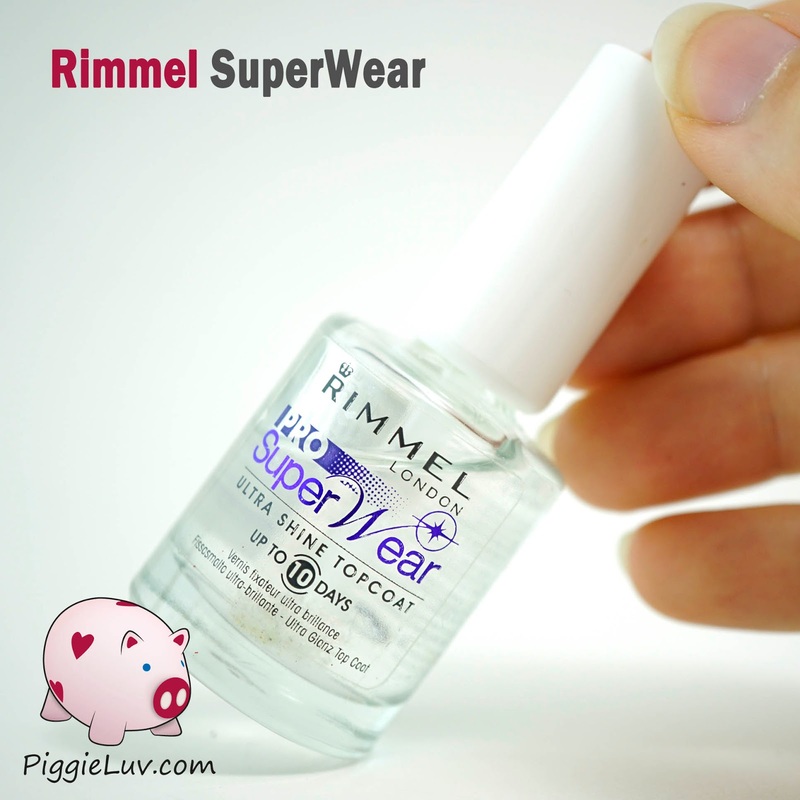 I top my peel off base coat with a coat of Rimmel SuperWear. I do this because my earlier mixes tended to wrinkle up when faces with a 'heavier' polish like a glow, a holo or sometimes just a random polish. The SuperWear top coat dries almost instantly, but it also stays thin so you don't get the feeling of a gazillion coats of polish on your nails. 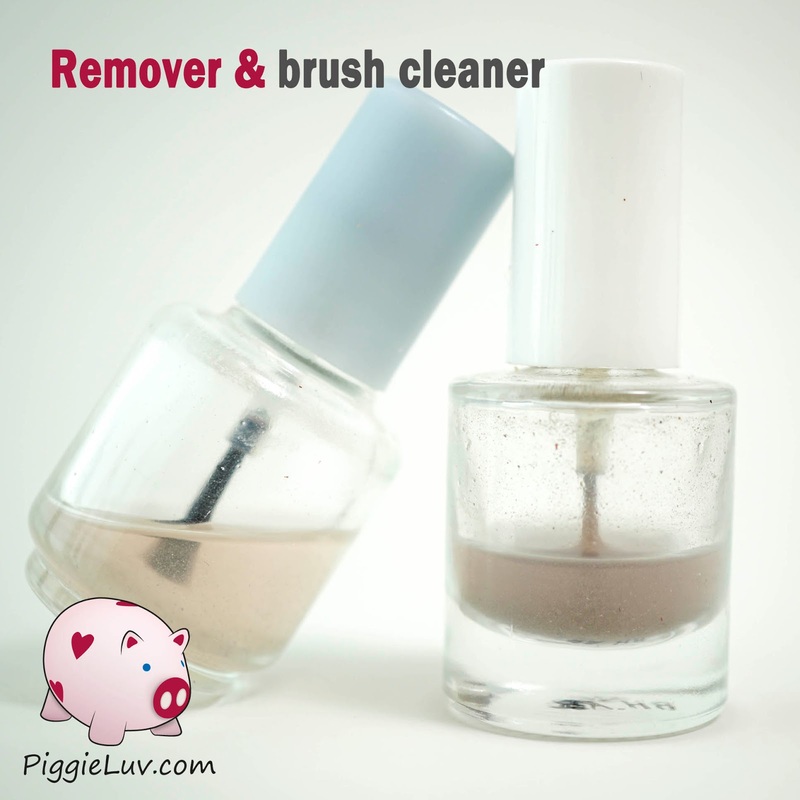 It doesn't do much for chip resistance but it does protect your nails against stainers. I've never had a polish stain my nails while using this combination! This top coat comes in a different bottle since a few months, it has a big cap but I really hate that (plus it always looks like it's crooked). So I pour new top coat into this bottle, because I like the cap a lot better. This has always been my favorite top coat, but this summer I was told that it was discontinued. Apparently it's back in stores now, yay! It's a great top coat, it has a plastic-y feel to it when it's completely dry. Smooth and rock hard. It's available in stores here so I don't have to order it and pay shipping, and I always wait until they have a 2-for-1 sale and then I stock up. When the last bit of a bottle gets thick, I save it up and use it as a top coat for glitter polishes. You can't see air bubbles over the glitter, and it makes the perfect thick coat to smooth out bumps! ... I discovered HK Girl from Glisten&Glow! I don't know how Jill does it, but this stuff trumps everything. 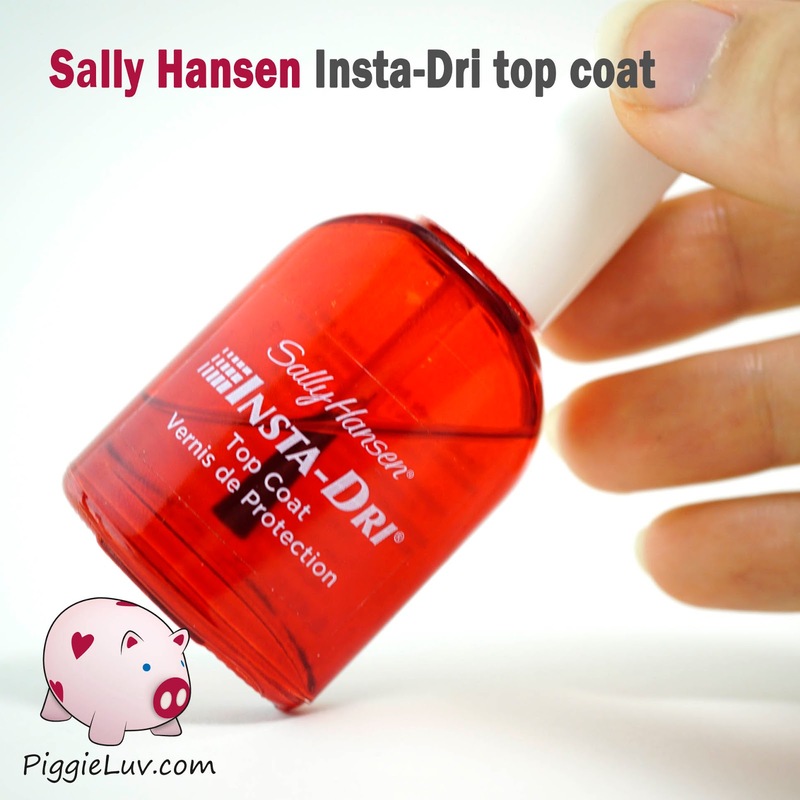 It dries almost instantly, but without becoming goopy while you're still working with it on the nail. 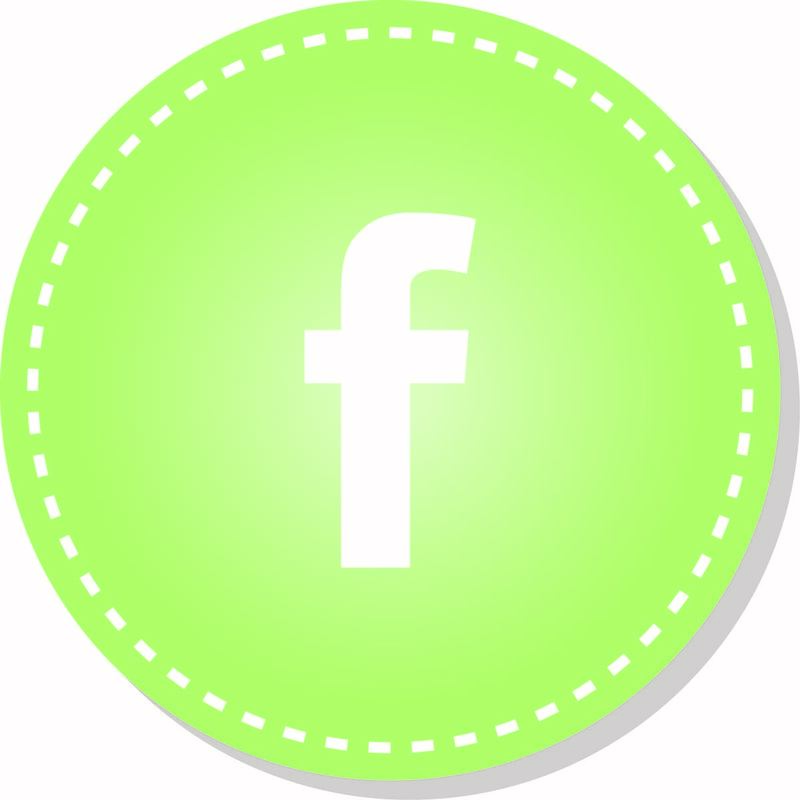 In 5 minutes, you're good to go! This one does smell a bit funny but I've been using it for two months now and I've gotten used to it. 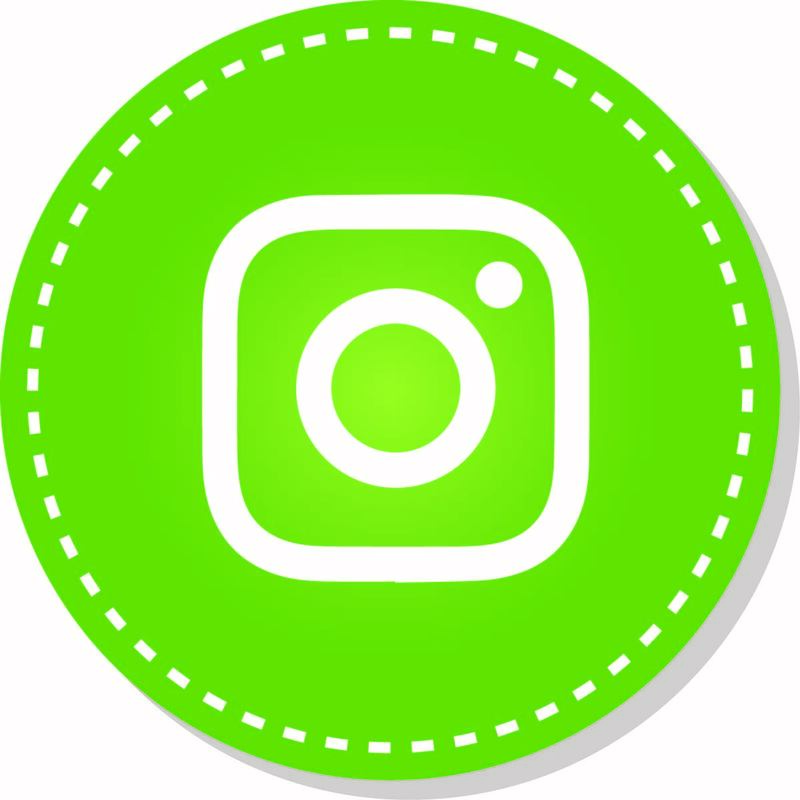 I've been assured by fellow bloggers that the European version DOES NOT contain toluene, DBP and formaldehyde so the smell is nothing to be concerned about. I get my HK Girl fix from my local dealer Hypnotic Polish, Maria understands my undying love for this stuff and is always ready to send me more (as long as I pay her, haha!). For several reasons, a matte top coat is just a bare necessity when it comes to nail art. I finished my bottle of Essie Matte About You and I'm now trying out OPI Matte top coat. The name isn't as catchy but the polish does the trick :-p I have a hard time photographing certain detailed paintings I do, so to minimize the glare, I use this baby and it always works. I also like to use it as a base for detailed nail art, because it's rougher than regular top coat so the acrylic paint sticks better. Matte top coat makes jelly glitter polishes look totally wicked by the way, you should try it! It also completely changes the look of metallic and shimmer polishes, it's amazing. 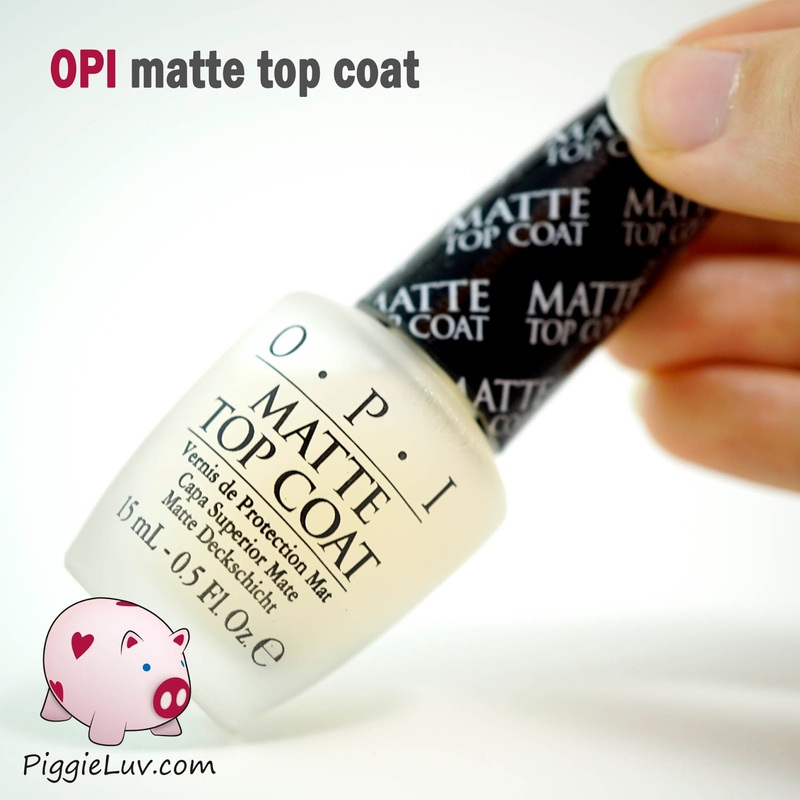 Or when you want to wear a nail strengthener or treatment, but don't want the shine: matte top coat! These technically aren't base or top coats, but I need to include them anyways. They sleep in the same drawer as all of the other bottles you've seen *points upwards* and I need to tell you my trick. I keep my remover (for cleaning my cleanup brush) and my brush cleaner (for cleaning my detail brushes) in these smaller bottles. The brush in them serves no purpose, it was already there so I left it in to stop the bottle from leaking. I keep them in these bottles so I can rinse them out when the liquid gets too polluted. See, when you clean your brushes in a bottle, you get dirty liquid and sedimentation at the bottom. All the little particles go make a messy party down there. It makes it really hard to clean your brush when the stuff you clean it in isn't even clean! So I only use a little bit in each bottle, and when it's empty or starts to get too dirty, I pour it out, clean the bottle and fill it with new liquid! And that's all, folks. I'll have more info about what the freaking freak brush cleaner really is, I was a bit vague about that but I'm saving that for another installment of 'Behind The Nail Art'. I hope you guys enjoyed this little overview of my stuff, I know I like talking about it a LOT! What's your favorite base coat, holy grail of top coats, or your favorite combination of the two? Tell me in the comments! Also, check out 'Behind The Nail Art - Brushes' as well!